This August, SCIENCE examines what happens when scientific research goes too far, with the world premiere of DARK MATTERS: TWISTED BUT TRUE. 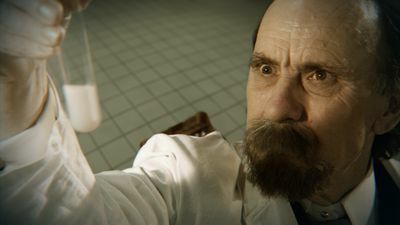 The six-part series takes viewers inside the laboratory to profile strange science and expose some of history’s most bizarre experiments. 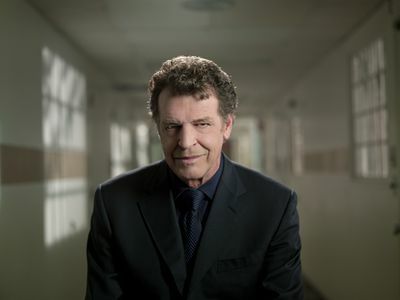 Hosted by noted science fiction actor John Noble (Fringe, Lord of the Rings), DARK MATTERS: TWISTED BUT TRUE delves into the most unusual research ever conducted, including attempts to crossbreed humans and apes, actual zombie investigations and head transplantation studies. 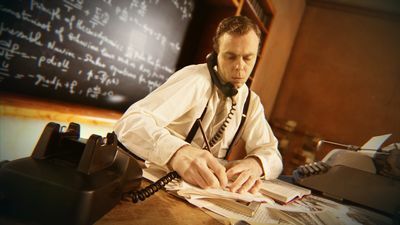 Cutting-edge CGI recreations enable viewers to witness the pivotal moments when brilliant minds face controversy or ethical crossroads on the fringes of science. DARK MATTERS: TWISTED BUT TRUE premieres Wednesday, August 31, at 10:00 PM (ET/PT). The series premiere features the shocking story of Soviet scientist Dr. Ilya Ivanov, who in the 1920s attempted to start his own “planet of the apes.” In an attempt to build an invincible army, Ivanov tried to crossbreed humans with apes to create a race of supersoldiers. 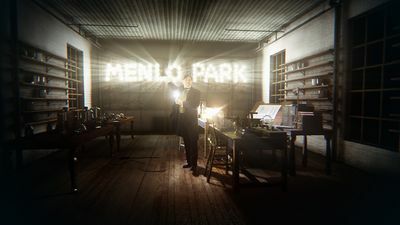 Viewers also will be introduced to Morris Jessup, a self-identified UFO expert who attempted to expose what he believed to be a military cover-up involving experiments with invisibility. 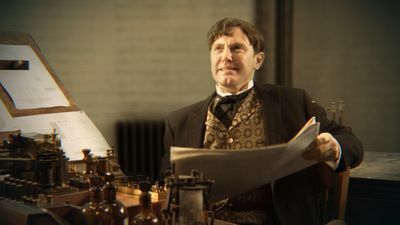 Finally, unorthodox studies by America’s greatest inventor, Thomas Edison, result in a dark and unintended invention which remains infamous today. DARK MATTERS: TWISTED BUT TRUE is produced for SCIENCE by Wide-Eyed Entertainment. Dan Gold and Jasper James are executive producers for Wide-Eyed Entertainment. Rocky Collins is executive producer and Bernadette McDaid is vice president of production for SCIENCE. 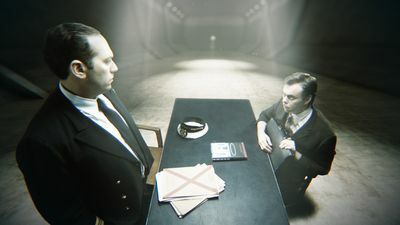 UFO expert Morris Jessup tested invisibility and teleportation after receiving an extraordinary letter stating that the U.S. Navy had experimented with this very concept before. Would his investigation be the end of his career? In the 1920s, Soviet scientist Dr. Ilya Ivanov began performing disturbing experiments to crossbreed humans with apes. Could he create intelligent apes, or would his experiments result in horror? In the early 20th century, a race was under way to increase America’s flow of electricity. To that end, Thomas Edison conducted a number of unorthodox studies to meet this growing demand. To his surprise and regret, however, these experiments would eventually lead to a dark creation that remains infamous today. A fireball streaks through the skies of Pennsylvania in 1965. Could it be a UFO, or had the U.S. gotten hold of an outlandish piece of Nazi antigravity technology? After Einstein’s death in 1955, Dr. Thomas Harvey, the man in charge of the autopsy, stole his brain. Does Einstein’s brain hold the key to where genius lies within its physical structure? During the Cold War, with the world on the brink of nuclear destruction, Russian and American scientists engage in a top-secret psychic arms race. When a talk show host married a former model, he had no idea that she would reveal she was a brainwashed CIA secret agent. Was she the subject of government mind control experiments, or is her troubled childhood to blame? When Dr. Robert White transplanted the head of a monkey onto the body of another, had he discovered a way to preserve humanity’s brightest minds? Or was he exercising unnecessary animal cruelty? In 1962 the United States exploded a 1.4 megaton H-bomb in space. Was this detonation a necessary action taken during the Cold War, or one of mankind’s greatest mistakes that could lead to Armageddon? 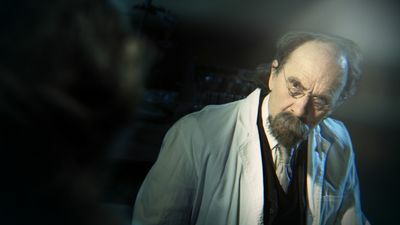 At the beginning of the 19th century, an Italian scientist believes he has found a way to bring the dead back to life. Could electricity be the God-given vital force of life? In the late 90s, journalist Hank Albarelli believes he has found a connection between a French town gone insane and the apparent suicide of an American scientist. 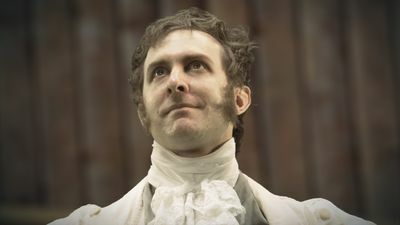 Is madness contagious, or has Albarelli found himself in the middle of a government conspiracy? In 1908, a German woman is attacked by the hand of the one who knows her best: her own. Are we alone in our minds, or is there another, darker entity hidden deep within? When French scientist Vladimir Gavreau finds his laboratory flooded with a mysterious energy, his research takes a menacing new direction. Had Gavreau invented a new weapon of mass destruction? At the dawn of the age of space exploration, two radio buffs stumbled across a heart-stopping sound. Were the Soviets covering up a space mission gone terribly wrong? 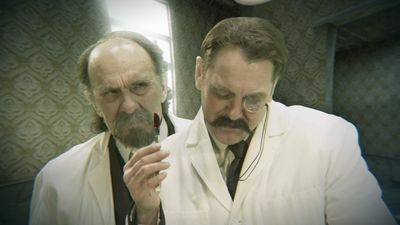 Boston medic Dr. Duncan MacDougall sets out to scientifically prove the existence of the human soul by weighing a man at the moment of death. Death by deadly ray sounds like a scene from a science fiction movie. However, the legendary Nikola Tesla claims to have created one in the early 20th century. Some say an 800-mile area in Siberia was devastated during his radio-wave experiments, leaving very few survivors. Could this be true? Scientist Wade Davis was obsessed with cracking the zombie secrets. After tracking down a man with his own death certificate, he believed he had uncovered the science to zombie legend. After Dr. Horace Wells fails to invent anesthesia using laughing gas, he experiments with a new drug: chloroform. Wells’ experiments would lead to horrific, devastating mistakes.